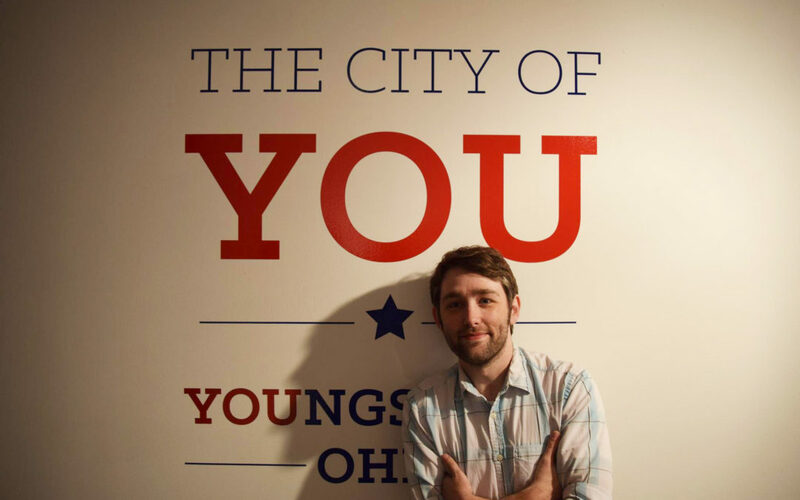 The City of You is a marketing and advertising platform for the city of Youngstown that supports local culture, events and programs. The campaign uses residents’ stories in the form of nearly 200 podcasts to change negative perceptions of the city. Thompson joined the YSU faculty in 2012. In that time, he has been awarded nearly a dozen grants, including $175,000 in support from the National Endowment for the Arts for the Our Town project in 2016. That funded INPLACE, the Innovative Plan for Leveraging Arts through Community Engagement. Five projects were chosen to improve wayfinding, parking, lighting, technology and green infrastructure through art. Prior to coming to YSU, Thompson taught at LaRoche College, Carnegie Mellon University and Edinboro University of Pennsylvania. 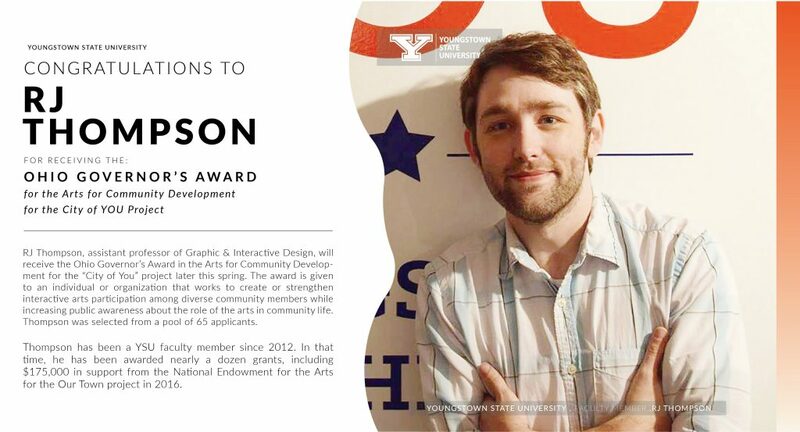 Thompson holds three degrees in Graphic Design—a master of Fine Arts from Savannah College of Art and Design in Georgia, a bachelor’s degree from California University of Pennsylvania and an associate’s degree from the International Academy of Design and Technology in Pittsburgh. The Governor’s Awards for the Arts in Ohio is a statewide program that showcases and celebrates Ohio artists, arts organizations, arts patrons and business support of the arts. The program is presented by the Ohio Arts Council and the Ohio Citizens for the Arts Foundation. The award will be presented in May in Columbus. To learn more about the City of You project, visit www.cityofyou.org.